Top quality paint saves you money! As far as paint goes, we always insist on using Taubmans and Dulux products. 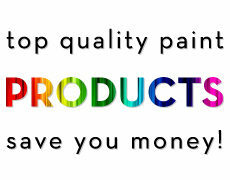 The reason being is simple, the long lasting results from quality paint compared to the cheaper brands are enormous. One of the additives in paint is titanium, cheaper paints have low levels of titanium which in turn affects the quality. We want to make sure that you get the most out of our service and the product for your home!